The vernaculars spoken by the Kurds fall in two groups, each again being divided into two main dialect groups. The great majority of the Kurds speak a variety of the so-called Kurmanci or Sorani dialects; smaller numbers speak Gorani or Zaza. Although the latter two dialects are close relatives of the former two, they do not strictly speaking belong to the same branch of Indo-Iranian languages. Nonetheless, both groups are commonly thought to belong to the Nortwestern group of Iranian languages. A fact of particular interest is that Sorani shares a number of clearly contactinduced features with Gorani; we can then ask what kind of contact was involved. I would like to pose this question against the background of some recent theoretical work on language contact, especially Thomason & Kaufman (1988). These authors argue that there are no linguistic constraints on the results of language interference; it is rather the sociolinguistic history of the speakers that primarily determines the linguistic outcome (p.35). Furthermore, they distinguish two basic types of interference: interference with language shift (traditionally better known as substratum) and borrowing with language maintenance. These two, they argue, have distinct linguistic results. Substratal influence need not involve extensive lexical borrowing: it typically starts with phonology and syntax, and to a lesser extent the inflectional morphology (p.39). In borrowing, by contrast, both languages are maintained throughout the period of interference; lexical items, especially items of nonbasic vocabulary, are invariably the first borrowed elements; more intensive contact may also lead to the borrowing of structural (i.e., phonological and syntactic) elements. For borrowing, but not for substratal influence, a prolonged contact between the source and the target language is necessary (p.41). I would like to use this theoretical framework to focus on specific kinds of questions relating to the language contact phenomena mentioned above. MacKenzie (1961b: 86) argued that the grammatical features distinguishing Sorani from Kurmanci are due to a Gorani substratum, i.e., to traces of the language spoken in the area before a presumed ‘Kurdish invasion’. Note 1) I am indebted to Martin van Bruinessen, Margreet Dorleijn, D.N. MacKenzie, Ishmael Murdochi, and Pieter Muysken for comments on an earlier draft of this paper. None of them should be held responsible for the views expressed here. My main argument, presented in part 3 of this paper, will be that these closer affinities between Central Kurdish and Gorani are best seen not as a substratum (presumably preceding the Mongol invasions), but rather as prestige borrowings of a much later date, probably not before the seventeenth century. This process need not have involved any serious language shift among the Gorani population, as an account in terms of substratal influence would imply. Because of the relative unfamiliarity of the terrain, I will start with a survey of the Kurdish dialects in the wider sense, including a brief mention of their most salient grammatical and sociolinguistic characteristics. It turns out that there are two distinct senses of the expression ‘Kurdish dialect’: the one being ‘dialect of the Kurdish branch of Northwestern Indo-Iranian languages’, and the other ‘dialect spoken by people who consider themselves Kurds’. Failure to distinguish these two senses may easily lead to to needless confusion and polemics: ethnic developments should not be confused with linguistic reconstructions. 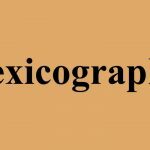 Because of the lack of adequate linguistic and sociolinguistic information concerning many of the dialects involved, much of this paper is of necessity tentative and rather programmatic, at times even speculative. 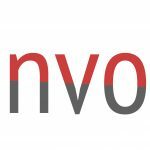 Moreover, the argument requires the combining of purely linguistic data with historical and sociolinguistic, if not sociological, considerations. I realize that to do so is to court disaster, the more so since in none of these areas can I claim any expert knowledge. However, I think that an approach like the one outlined here may be fruitful for seeing things in their proper perspective. Note1) The most detailed description of the Northern and Central Kurdish dialects is MacKenzie 1961a; see also Blau 1975. A brief overview can be found in Blau 1989a. Note 2) For transcriptions, I will largely use Bedir Khan’s alphabet, which has become more or less the standard among Kurdish writers, despite certain inadequacies. However, sociopolitical circumstances, most importantly the total prohibition of both spoken and written Kurdish in the newly founded Republic of Turkey since the 1920s, have largely blocked the natural growth of the Kurmanci dialect into a standardized language for education and mass communication. Only in Soviet Armenia did Kurmanci develop smoothiy into a standardized and written language at all; in Turkey, the early 1990s have seen an explosive growth of semi-clandestine publications in and on Kurmanci in Turkey, based upon Bedir Khan’s work and, to some extent, upon research done by Kurds in exile In Iraqi Kurdistan, a few books in Kurmanci written in Arabic characters have appeared, but Kurmanci has never acquired the same status as an official language as Sorani. Second, the Central Kurdish dialects, also called Kurdi or, more often, Sorani, after the dialect of Sulaimaniya. They also comprise, among others, the Mukri dialect, spoken around the town of Mahabad in Iranian Kurdistan. In Kurdistan of Iraq, these dialects are spoken south of the Litfie Zab river. Sorani was the court language of the Baban court at Sulaimaniya, where the then British consul, Claudius James Rich, spent some time (cf. Rich 1836). Note1) See Bynon (1979) and Dorleijn (1992) for more details. This principality emerged at the turn of the l8th-l9th century, and in the course of time came to overshadow the nearby court of Erdelan, located in Senna (Sanandaj), which had hitherto been the most important Kurdish principality in the Southern area. (1) In 1919, the British mandate authorities in Iraq decided to develop this dialect into the language for official use and in education, although literary texts had not been written in it before the early nineteenth century (cf. Hassanpour 1989: 66-7). 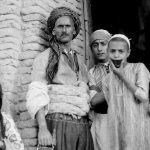 Consequently, at the same time when Kurmanci was being forcibly suppressed in Turkey, the Sorani dialect was introduced by the British mandate authorities in Iraq as the official language of the Kurds there, and it has ‘remained so ever since. Though spoken by a smaller number of people than Kurmanci, Sorani has thus had much better opportunities to adapt itself to the needs of modern mass communication. This development has had problems of its own, however: when Sorani was introduced as the official language of instruction in Iraqi Kurdistan, Badini (i.e. Kurmanci) speakers in Amadiya at first preferred to send their children to schools where Arabic was the instruction language. (2) Moreover, it seems that in the 1980s, the opportunities for education in Kurdish were steadily declining as a result of attempts at arabization by the Baath government. Note 1)We Will see the linguistic consequences of these events below; of particular interest here is the fact that the Baban court poets at first wrote verse in Gorani, but turned to Sorani as their medium of expression in the early 19th century. Note 2)Blau 1975: 10; for a more detailed account of the emergence of Sorani as the standard language of Iraqi Kurdistan, see Hassanpour 1989: 96-117. Note 3)More discussion of transitive-verb constructions in Kurmaci and Sorani: Bynon 1979; Blau 1980: 69-74. A minor third dialect group, which is related to the two mentioned thus far, consists’ of the ‘Southern Kurdish dialects, which are spoken in the south-eastern part of Kurdistan, especially around Kermanshah. According to MacKenzie (n.d.), they shade off into the Luri dialects. The vernacular spoken by the shi’ite Feyli Kurds, who used to live in the urban centers of Southern Iraq before being deported to Iran almost in their entirety in two subsequent waves in 1971 and 1980, apparently also belongs to this dialect group, although its precise position is unclear, as is that of Lakki. Several informants told me that in Iraqi Kurdistan, Luri is still spoken around Khanaqin and Mandali, and that there are, or have been, pockets of Lakki south of Arbil, and near Kirkuk. Little research has been done on these dialects, which lack a written literature; some of them, however, seem to have developed an impressive oral literary tradition (see Mann 1910 for dialect samples of Luri and Feyli). Note 1)Descriptions of various Gorani dialects can be found in Mann/Hadank 1930 and MacKenzie 1966. Note 2) MacKenzie 1956: 419-420: ‘All Shabaks… called themselves Bajlan or Bejwan’. Note 3)My Shabak informant claimed that there are three ta’ifs (sects) of Shabak: the Bajalan, the Zengana, and the Shabak proper. Note 4)For reasons of space I include only a small number of examples from the dialects involved, most of which have not yet been described; a more detailed treatment awaits another occasion. Note 5)For more information on the Shabak, see Edmonds 1957: 190ff, Vinogradov 1974, Moosa 1988: ch. 1. For descriptions of the Bajalani dialects, see esp. Mann/Hadank 1930: 395-424 and MacKenzie 1956. Another important ethnic group speaking a Hawrami variety are the Kakai, also called Ahl-e Haqq, Ali-Illahi or, in Iran, Yaresan, who have a distinct religion and a religious literature partly written in New Persian, and partly in a Hawrami koine. Not all Kakai have Hawrami as their mother tongue: there are also Turcoman- and Sorani-speaking Kakai, and even some speaking Arabic in Mandali, Baquba, and Khanaqin; and, of course, a good number of them (as of other groups) speak several of these languages. A few samples of Macho (as the Kakai dialect is often called, after the expression for ‘I say’) from Topzawa near Tawuq may suffice to show its belonging to the Gorani dialects: min birinc morî, ‘I eat the rice’, min birincim ward, ‘I ate the rice’; çem,‘eye’, çemim, ‘my eye’. The past tense personal suffixes are practically identical with those of New Persian, as appears from a sample conjugation. ‘I, you, etc. saw a man’: Singular: 1. min piyawyêm dî, 2. tu piyawyêt di; 3. ew piyawyêsh dî; plural: 1. piyawyêman dî, 2. piyawyêtan di, 3. piyawyêshan dî. The reflexive pronoun yo- receives a suffix: min yom mewînî, ‘I see myself’. The Sarlî or Sarlû living near Eski Kalak are really Kakais, as Edmonds (1957: 195) surmised, and Moosa (1988: 168) observed; they actually dislike the term ‘Sarlû’ their neighbours use for them. The ones I met near the village of Sfêye, near Eski Kalak, belonged to the Ibrahimi ‘family’ of the Kakai; their dialect seems to be an intermediary between Shabak and Macho. Finally, the Zengana, a tribal confederation that traditionally lived Southeast of Kirkuk and near Khanaqin, also speak a clearly Hawramirelated vernacular, witness e.g. nan morüat;, ‘I eat bread’; min nanim ward, ‘I ate bread’; a piyaw mewînüat;, ‘I see the man’; a piyawima dî, ‘I saw the man’; çam, ‘eye’ ,çemi min, ‘my eye’; min ma’açüat;, I say’, min watim, ‘I said’. Emonds (1957:195) calls them ‘Kurdish Qizilbash’, but local informants claimed that they are Sunnis. Interestingly, one informant also claimed that virtually the entire Germian area was Zengana-speaking until the late 19th century; more recently, the Zengana seem to have become largely assimilated to their Sorani-speaking neighbours. There may actually bestill other Hawrami-like dialects in this region: one informant mentioned the Roshkakai dialect spoken near Khanaqin. 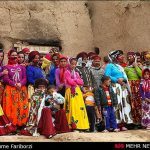 Incomplete as it is, the available information unambiguously suggests that all dialects mentioned belong to the same branch of Iranian languages, and also that they are more widespread than is commonly thought. The present day numbers of all Gorani speakers together are estimated at several tens of thousands (cf. MacKenzie, ‘Guran’, ‘Hawraman’ in E12), but apparently these figures do not include the groups discussed above. 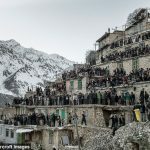 Apart from the Hawrami living in the mountai nous range east of Sulaimaniya and Halabja, most of these Gorani pockets are situated in the foothill borderline territory between the Kurdish and Arab areas of Iraqi Kurdistan, where considerable numbers of Turcomans live as well. The northernmost of these pockets, the Shabak and the Bajalan, are geographically not all that far removed from the southernmost Zaza speakers dwelling in the plains around Diyarbakir, but linguistically they are much closer to the Hawramis furthereastward. 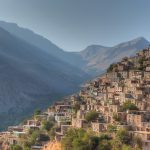 In all, until quite recently there has been an almost continuous chain of separate Gorani-speaking communities on the edges of, and partly in, the area where dialects of Kurdish proper are spoken. The nomenclature of this group (or these groups) of dialects is rather confusing, as are the precise relations between the ethnic groups speaking them. Western authors use ‘Gorani’ as a generic term for all of these dialects, but none of my informants (save those familiar with European writings on the subject) ever used it in that way; instead, the expression ‘Hawrami’ or ‘Hawramani’ is used as the collective term by Iraqi Kurds (as well as by Hassanpour 1989), but also more specifically, to indicate the dialects spoken near the border with Iran. (1) Part of the trouble here stems from the fact that locals indiscriminately use terms like ‘Gorani’ and ‘Hawrami’ as geographical, ethnic, linguistic, or even social labels (cf. Van Bruinessen 1989: 139-51). Obviously, more detailed and principled research is needed to make an adequate classification of these groups and their dialects; here, I will be conservative, and stick (albeit reluctantly) to ‘Gorani’ as a generic label, while keeping in mind that few locals use it in that way, and that no conclusions as to ethnic affiliation can be drawn from it. At present, the Gorani speakers think of themselves as Kurds, even though they are aware of speaking dialects which are not mutually comprehensible with Kurmanci or Sorani, and in some cases, of having a dinstinct religious and cultural tradition (cf. Edmonds 1957: 10). Confusion as to whether the Goran are actually distinct from the Kurds may easily arise from the abovementioned ambiguity. An interesting point to note is that many (though by no means all) Gorani speakers, especially those in Iraq, seem to be related to one of the various heterodox (Ghulat) sects that developed out of various Sufi orders, and in combination with the struggle between the Sunni Ottoman empire and Shi’ite Safavid Persia in the fifteenth and sixteenth centuries. Both my Shabak and my Zengana informant claimed that all members of their respective ethnic groups were orthodox Sunnites; the Shabak, however, was unable – or unwilling – to say what his madhhab (branch) was, protesting that ‘we are all muslims anyway’. Note 1)Mann/Hadank 1930 and MacKenzie 1966 use ‘Hawramani’ in this more restricted sense. This group of dialects, like the next one, is grammatically quite distinct from the ones mentioned thus far, and not mutually comprehensible with any of them. It shares some morphological features with the Southern and Central dialects, but as we will see in Sec3, these common features are borrowings; apart from these, Gorani is quite distinct from its neighbours. Unlike Sorani, for example, it has maintained a case system. Note 1)My informants’ claims may have been instances of taqiyya, the dissimulation of one’s real faith which is allowed among shi’ites and other sects. Note 2)For more information on the Kakai religion, see Edmonds 1957:190 ff; 1969; Minorsky 1920. Note 3)See Sohrweide (1965) and Mazzaoui (1972) for a more detailed account of the historical developments concerning the islamic Sufi orders, and the Qizilbash and other heterodox groups that developed from them; cf. Moosa (1988);for detailed, if uncritical, information on the various ghulat sects. Note 4)For more detailed historical information on the Erdelan court, see Nikitine 1922 and the lemma ‘Senna’ in Eli by the same author. Note 5)Eventoday, gorani is the Sorani and Rawramani word for ‘song’, whereas Kurmanci uses stran. Note 6)According to Hassanpour, Western theories stating that Gorani is not a Kurdish dialect and that Gorani speakers are not Kurds, were a major source of inspiration for the Iranian government policy. The Zaza dialects are not a monolithic whole; among them, important dialectal differences appear, not only in phonetics (e.g the Dersimi s as opposed to sh in all other varieties), but also in morphology; for example, the personal pronoun systems diverge significantly. It must likewise be stressed that the Zaza-speaking areas are by no means monolingually so. For example, of the 127 tribes in the Dersim region listed by Dersimi (1952), 90 are Zaza- and 37 Kurmanci-speaking. Early authors writing on Zaza, such as Alfred von le Coq and the Armenian monk Antranig, claimed that most Zaza speakers also knew Kurmanci, and that in fact, among the Kurds of this region, Kurmanci was the lingua franca for trade and other contacts (quoted in Mann/Hadank 1932: 20). (3) When nowadays speakers of both varieties find themselves together, Turkish is the language most likely to be used as the common medium of conversation. Note 1)Muller 1864 was the first attempt at a description of the ‘Zaza dialect of the Kurdish language’; see Mann/Hadank 1932 for a description of the dialects of Siverek and K6r (near present-day Bingol), and Todd 1985 for an analysis based on a single speaker from Siverek. Note 2) Asatrian & Gevorgian 1988; this kind of language contact is still very much an underinvestigated terrain, however. Note 3) I have repeatedly come across a present-day variety of this bilingualism among Kurds in European exile: they had grown up speaking Zaza, but after receiving education in Turkish, they had practically lost the habit of speaking their native tongue. Once in Europe, they learned Kurmanci, which they saw as the Kurdish lingua franca, for communication with their fellow Kurds. Another reflection of this difference in status may be the often-heard remark that Zaza speakers learn Kurmanci more easily than vice versa. Some final sociolinguistic remarks: Zaza is not exclusively spoken by nontribal Kurds, as becomes clear from Dersimi (1952), who, as said, mentions no less than 90 Zaza-speaking tribes. (1) There is no indication that these Zazaophone tribes of Dersim were originally non-tribal peasants (nor, incidentally, that they have been in the area for longer than the Kurmanci speaking ones). In short, Zaza is, and for as far as we can tell has at all times been, spoken by tribal (semi-) nomads and by nontribal peasants alike. There is also an important link between the Zaza dialects and heterodox Islam, as with Gorani: a fair number of Zaza speakers, particularly in the Tunceli region, are Alevis, i.e. heterodox Shi’ites; but the Zaza speakers in other regions (e.g. Siverek, Diyarbakir, and Bingol) are mostly orthodox Sunnis. (2) Nevertheless, the link between Zaza and heterodox religion is significant, as are the similarities between the Alevi and the Ahi-e Haqq faiths (cf. Van Bruinessen 1989a: 139-51). Zaza has practically no written literary tradition: the earliest specimens of written Zaza sources are two mawluds written in the Arabic alphabet, which were published in the early 20th century, one of them in 1930 in Damascus; all earlier grammatical studies concentrate on the spoken language. The first serious attempts at creating a Zaza variety fit for purposes of mass communication appeared in the review Tirej in the late 1970s. After three issues, however, this review was banned in 1980. Since then, a small number of authors have published poetry, short stories, and essays in exile periodicals such as Hevi and Berbang that also contain texts in Kurmanci and Sorani, and more recently in magazines exclusively written in Zaza, like Piya and Rashtiye, which espouse a specifically Zaza nationalist feeling (and a demand for a separate ‘Zazaistan’); but these probably reach a small audience only. The most important contemporary Zaza author is Malmisanij, now living in Sweden, who regularly contributes poetry and prose texts to various periodicals; in 1987 he also published a Zaza- Turkish dictionary. In conclusion, it seems safe to say that Zaza is not very likely to become a widespread medium of writing and education, although the increased self awareness of Zaza speakers, and the growing numbers of cassette tapes with music sung in Zaza (by vocalists like Yilmaz çelik, Kadri Karagöat;z, and on occasion even Shivan) may contribute to its survival as a spoken language in mass communication. Note 1) Martin van Bruinessen (personal communication) informs me that the Zaza tribes do not practice long-distance migration like Kurmanci- speaking tribes such as the Alikan or the Milli. Transhumance is standard among them. Note 2) Bumke 1989 and van Bruinessen 1989b: 614 claim that Kurdish Alevis consider themselves ethnically one with Turcophone Alevis rather than with Sunni Kurds, whether Zaza or Kurmanci. 2. Genetic and other relations between the Kurdish dialects. The table shows that Kurmanci and Sorani clearly belong to the Northwestern group of the Iranian languages, as they do not share some of the most conspicuous features that set the Southwestern languages apart already at the stage of Old Persian, especially OIr. z- developing into d-, and the more recent development of OIr. j- into NP z- (a related form dz- does occur in some Dersim subvarieties of Zaza, but it is clearly an instance of a recent process, specific to these dialects, of palatalized fricatives and affricates losing their palatalization). In all, although Kurdish proper contains some Southwestern elements (MacKenzie 1961b: 79, 86), on the whole it is rather distinct from Southwestern languages like New Persian (cf. Blau 1989b: 329). The table also indicates that Zaza and Gorani, although equally unambiguously part of the Northwestern group, are quite distinct from the other two dialects, and resemble each other closely. Phonologically, the most clearly distinguishing characterisics of these dialects are the development from Indo-Iranian *hw- into w-, and *b into v-/w-; morphologically they are set apart from Kurdish proper and New Persian alike, e.g., by the use of waç- (Gorani) or va- (Zaza) stems, rather than Km. bêej-/got-, Sor. gut-/lê- or NP goft- , for the verb ‘to say’. This dovetails well with the often-heard observation that Zaza and Gorani speakers can mutually understand each other far more easily than speakers of Zaza and Kurmanci, or Gorani and Sorani. However, the differences between Gorani and Zaza should not be overlooked (cf. Mann & Hadank 1930: 65-6; 1932: 24-6): for example, most Gorani dialects have present tense prefix mi-/ma-, whereas we saw that Zaza has a suffix -an-. Note 1) The Gorani examples are from personal notes (Byara dialect), the others from familiar published sources like MacKenzie 1961a and Toeld 1985. For more details, see Tedesco 1921, MacKenzie 1961b, Blau 1989a,b, Oranskij 1977. Mann (1909: XXIIIn) was the first to remark that the differences between Zaza and Gorani on the one hand, and Kurmanci and Sorani on the other, are so big that we cannot properly speak of different dialects of the same language; Soane (1921) independently reached the same conclusion some years later. Earlier authors, e.g. Lerch (1857-8) and Muller (1864), thought of Zaza as just one among the Kurdish dialects, albeit one that was particularly difficult to understand for speakers of other dialects; Rich (1836) on the whole tended to include the Goran among the Kurds ethnically, although at times he hesitated, being well aware of linguistic and social differences with the surrounding Kurdish-speaking Jaf tribesmen. Mann adjusted the linguistic picture, and stressed that Zaza and Gorani are not Kurdish dialects properly speaking but constitute a separate branch of the Iranian languages. However, he made this genetic distinction in linguistic terms only, and not in ethnic terms,- even though he did notice some distinct cultural features among the Goran. If Zaza and Gorani were considered Kurdish dialects by locals up until Mann’s time (and for a long time afterwards), this was because, by and large, Gorani and Zaza speakers were unhesitatingly considered Kurds ethnically. In other words, language in itself was not a very important distinguishing ethnic criterion, although it could if it coincided with other factors like religion, tribal affiliation, etc. This becomes clear if we look at the remarks made by early outside observers. The 17th-century travel writer Evliya Çelebi lists Zaza as one of sixteen (elsewhere fifteen) Kurdish dialects in book 4 of his Seyahatname; interestingly, he listed the local court language spoken in Bitlis, called Rojiki, among the Kurdish dialects, even though his samples in fact show this dialect to be quite obviously Turkish with a heavy dose of Armenian borrowings (cf. Dankoff 1990). Apparently, criteria other than linguistic ones were decisive for Evliya in establishing ethnic affiliation. As he did not speak Kurdish or Turkish himself, his informants (who otherwise seem to have been rather meticulous and reliable) apparently did not tell him of any dialectal or concomitant ethnic difference here. In other words, at this time, it seems that Zaza speakers as such were not considered very distinct from the other Kurds. In this period, religion was a more significant ethnic boundary than language, but not even this boundary was absolute: Niebuhi (p.370) explicitly counts the Bajalan, the Lak, and the Sarli among the Kurds. Ethnically, Gorani and Zaza have thus for all practical purposes been Kurdish dialects throughout. The reverse situation (i.e. a dialect that is linguistically speaking Kurdish, although its speakers do not consider themselves, and are not considered, Kurds) occurred as well. Niebuhr, on purely religious grounds, considered the Yezidis, who speak Kurmanci but often are not considered Kurds by Sunni Kurmanci speakers (cf. Van Bruinessen 1989b: 614), as a separate ethnic group. 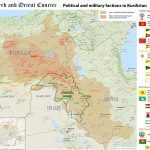 In recent years, however, it seems that the rise of a secular Kurdish nationalism, claiming among other things that the Kurds were originally Zoroastrians, has led to a more inclusive view of the Yezidis, who are now often perceived as having preserved the original faith, and consequently as being in a sense the ‘purest’ Kurds. Thus, Kurds from Syria will readily claim in public that they are Yezidi or, as they call it, ‘believe in Zaradasht’. Up to at least the mid-twentieth century, there are no traces of any awareness of a distinct secular Zaza identity. Tribal, geographical, and especially religious factors seem to have been more important at all times. (1) Until quite recently, Zaza was simply considered a Kurdish dialect, because the Zazas were considered Kurds. (2) Much the same can be said of the Gorani speakers. Belonging to a certain tribe, or, even more importantly, to a specific religious group, rather than to a linguistic community, seems to have been the more significant ethnic characteristic; in this, they did not differ from the Kurmanci-speaking Kurds. The rise of a feeling of ‘common Kurdish identity among all Kurds, regardless of social class, tribal or religious affiliation has been a relatively recent development (cf. Van Bruinessen 1989b); and once it had arisen, it was of course not fixed once and for all: it developed in interaction with social and political developments in the surrounding world. Religious and tribal differences persisted for a long time. For example, participation in the great Kurdish revolts in the Republic of Turkey (Shaikh Said, Dersim) was decided by religious factors or membership of a tribe or tribal confederation, rather than by linguistic considerations. In Shaikh Said’s revolt, led by Zazaspeaking Sunni Kurds, the Kurmanci-speaking Mil confederation, and the Cibran and Hasanan tribes, participated; but Zaza- and Kurmanci-speaking Alevi tribes actively opposed the revolt: religious and tribal, rather than linguistic, boundaries were critical in these cases (cf Olson 1989: 95). Note 1) I have come across linguistically mixed marriages in Tunceli, e.g. a Zaza-speaking man from the Kureyshan tribe married to a Kurmanci speaking woman of the Milli tribe from Pulumur; both were Alevis, however. Endogamy among members of the same tribe (and of the same dialect) seems thus to be less strictly applied nowadays although it remains among religious lines. Note 2) In fact, growing acquaintance with the work of Western authors seems to have been instrumental in the rise of a specifically Zaza nationalism among educated expatriates in recent years. In the Dersim revolt of 1937-1938, only Alevi tribes participated. In recent years, with the development of a secular Kurdish nationalism, and under the influence of harsh government policies, these boundaries may have become less significant. In the Republic of Turkey, Zaza- and Kurmanci-speaking, and Sunni and Alevi Kurds alike have suffered the same oppression and attempts at forced assimilation, just as Kurmanci-, Sorani-, and Gorani speakers alike, whether orthodox or heterodox Muslims, have been persecuted regardless of religious or other affiliation. Likewise, as we saw in Sec1, Iraqi government policies have helped the shaping of a sense of common Kurdish identity among distinct, but equally oppressed, ethnic groups. This is just one instance of the general point that not ‘objective’ factors such as language (in the genetic, linguistic sense), but rather ‘subjective’ ones, like self-perception and significance attached to such ‘facts’ (which, as we saw, are open to discussion anyway) are fundamental in determining ethnic identity (pace Isajiv 1974). In itself, speaking Kurmanci, Sorani, Gorani, or Zaza (or none of these, as is the case with many Kurds in Turkey) is not a knockdown argument in establishing one’s main ethnic identity; it is the significance that the language spoken carries for the speakers which counts (cf Fishman 1977). The identity of an ethnic group is determined, and develops through interaction with other groups (cf. Barth 1969); ethnic boundaries are not fixed once and for all, but may be created, destroyed, or crossed at any time, either voluntarily in a negotiated process of interaction between groups of roughly equal status and power, or forcedly through major sociopolitical events or deliberate government measures. A related point is that the concept of the formation of the Kurdish ethnic group(s) is, on the whole, a more useful one than that of its (their) origin. Often, the question of origins is not so much factually wrong as misguided. Rather than vainly searching for, say, the origins of the Zazas, the Ahi-e Haqq, or the Yezidis, we should look at how these became distinct ethnic groups. The processes involved are much better seen in terms of ethnogenesis than of origin: in fact, the literature contains various examples of people or groups of people becoming Kurds by crossing various ethnic boundaries. One example of a tribal group becoming Kurdish at a relatively recent date is that of the Karageç or Karakeçili tribe (also discussed in Van Bruinessen 1989b): this was a Turcoman tribe from Western Anatolia, but sultan Selim 1(1514-1520) relocated part of it in the Karacadagi area near Diyarbakir; this part gradually Kurdicised through intermarriage with, and incorporation of, the neighbouring Kurds, and remained Kurds after being deported again, in the nineteenth century, to the area south of Ankara. (1) Apparently, this displaced group as a whole underwent a drastic language shift along with the change in ethnic identity. Note 1) Sykes (1908: 472) lists them as a Zaza-speaking tribe, but this seems to be wrong: Martin van Bruinessen (p.c.) heard the dialect described as a ‘filthy Kurdish’, not as Zaza, by locals. Another case in point are the numerous Armenians, especially those living in the Dersim region, who in the course of the nineteenth century converted to (heterodox) Islam, and thus became Kurds at a relatively recent date (cf. Molyneux-Seel 1914). It seems useful, then, to take Zaza and Gorani as ‘Kurdish dialects’ in a wider, ethnic sense, though not in the narrow, linguistic sense. At present, the speakers of these dialects by and large consider themselves Kurds. 6. a simplified izafe system: in the Central Kurdish dialects preserving a case system, the izafe became identical with the oblique case morpheme; in the dialects without case, it became a single form -i. MacKenzie attributes this development to ‘the clash between the two systems’ of Gorani and Central Kurdish (1961b: 82). Because of these common characteristics, for MacKenzie ‘there is no avoiding the conclusion that these [Central and Southern] dialects of Kurdish have overlaid a Gorani substratum, while the Northern dialects have to a much greater extent preserved their purity’ (1961b: 86). In fact, such a conclusion is not at all the only one we could draw. We could attempt to explain this convergence in various ways: as parallel innovations of a Sprachbund-like nature, as prestige borrowings, or as innovations specific to Kurmanci. At least two of the cases listed could equally well, and probably more plausibly, be explained as inherited from a common Indo-Iranian ancestor: Avestan and Old Persian have passive morpheme quite similar to that in Gorani (-iia-, -ya-, and -yê-/-ya- respectively), and the enclitic pronouns of Old and New Persian are practically identical to those in some Gorani varieties. Obviously, conservatism in itself does not call for an explanation, let alone for a substratum, and in these cases the burden of explanation rather seems to lie with the innovations specific to Kurmanci (loss of passive conjugation and of enclitic pronouns). (1) Likewise, there is no particular reason to assume that the simplification of the izafe was caused by a substrate: it may equally well be due to developments internal to Central Kurdish comparable to the loss of the case system (for which MacKenzie does not claim external causes). This leaves us with the affixes -eke, -ewe, and with the ‘open compound construction,- really a rather meagre basis from which to argue for a substratum. There seems to be no noteworthy phonological or syntactic influence of Gorani on Sorani either; however, there is considerable lexical influence. The Sorani dictionary of Wahby & Edmonds lists a few Gorani borrowings, but their list is far from complete. MacKenzie (1966) includes a good number of lexical items occurring in both Sorani and Gorani, but not in Kurmanci; these include specific cultural items such as clothes and tools, but also basic vocabulary items like body part expressions and basic color terms. Remarkable, however, is that many such items also occur in e.g. New Persian (e.g. Km. kesk, ‘green’, vs. Sor. sewz; Gor. sawz; NP. sebz), and that Sorani speakers may employ both the ‘Kurdish’ and the ‘Gorani’ item (e.g. resh or siya, ‘black’, cf. Gor. siyaw),- an indication of borrowing rather than of shift. In numerals, there are some distinct differences between Sorani and Gorani, e.g. Sor. se, ‘three’ vs. Gor. yen. In short, the lexical evidence is not particularly conducive to a substratum hypothesis, either. Note 1)The situation regarding the loss of enclitic pronouns is actually even worse: these have disappeared both in Kurmanci and in Zaza, so an additional explanation, not in terms of substratum, is necessary for this convergence (if such it is). Note 2)MacKenzie (p.86) does suggest that the Kurds first ousted the Zazas and only ‘in more recent times’ overran the Goran, but this chronology of events seems purely speculative, and not a reflection of any linguistic findings. make his use of the term ‘substrate’ very precise.1 In the case under investigation, we have hardly any information, apart from reconstructions, about the structure of either the substratal or the target language during the supposed pre-Mongol period of Gorani influence. An even more serious difficulty arises if we look at precisely what substrate influence is. Substrata, in fact, are merely one specific kind of language shift through imperfect learning of the target language (ibid., p. 38f.). In the case of Gorani-Sorani, this would amount to a group of Gorani speakers acquiring an imperfect acquaintance with ‘proto-Sorani’, and this imperfect language then somehow becoming the standard among those having Sorani as their mother tongue as well. Historical evidence for such an event is altogether lacking, except for some hints that in the past 100 years or so large numbers of Gorani speakers have become asssimilated, – but this is a much more recent period than MacKenzie appears to refer to. Shaky as the linguistic evidence for a substratum is, it leads MacKenzie to the much stronger hypothesis that the Zaza people, like the Goran ‘originating from the southern shore of the Caspian Sea’, i.e. from Dailam, were pushed westwards by the ‘main body of the Kurds’ arriving later (1961b: 86). A second, southward expansion of the Kurds then ‘led to their overrunning and gradually absorbing all but the surviving Goran’. (2) This view, of the Goran/Zaza as the ‘pre-Kurdish inhabitants’ of the region being pushed aside or subjugated by invading waves of Kurdish immigrants is pretty much the standard one. Edmonds (1957: 12) holds on to a more specific variety of the same thesis: he believes that non-tribal Gorani speakers were the ‘original’ inhabitants of the area, overrun by waves of ‘rough Kurdi-speaking nomads’. However, even apart from the fact that the linguistic data do not seem to warrant a Gorani substratum, we should be wary of making such inferences. Linguistic reconstructions such as protolanguages are purely theoretical notions, and can by no means be equated with actual ethnohistorical developments, at least not without further corroborating evidence from related disciplines such as history, archaeology, or anthropology. Linguistic arguments are just that: linguistic ones, so even if an explanation of Gorani elements in Central Kurdish in terms of a linguistic substratum is right, it does not yet entail the presence of a Gorani substrate underlying the Central and Southern Kurdish population. Note 1)it may be that MacKenzie did not have any precise notion of ‘substratum’ in mind, or meant something else with it, viz. his indiscriminate use of ‘borrowing’ (p.85), ‘substratum’ (p.86) and ‘simplification because of the clash between systems’ (p.82) alongside each other. However, it is unclear what such an account would amount to, let alone whether it would warrant the far-reaching historical hypotheses he derives from it. Note 2)In a more recent paper (1989), MacKenzie reiterated his hypothesis without any essential changes. running and subduing an original Gorani-speaking population which itself originated from Dailam (let alone an entirely non-tribal one, as Edmonds 1957: 10 suggested) is far too simplistic. Neither ethnic group was a monolithic whole, and there are historical sources indicating other processes. For example, Minorsky (1943: 78) states that ‘the Goran are mentioned as a warlike tribe already in the tenth century’ (emphasis added), and (p.84) refers to the fourteenth century Egyptian scholar Shihab al-Din al-‘Omari, who wrote that after the Mongol invasions of the thirteenth and fourteenth centuries, the Kurds of Shahrizur emigrated to Syria and Egypt, and their place was taken by another nation hasaneh/hasano whose members aren’t veritable Kurds." Minorsky conjectures that the term ‘hasaneh’ points to Gorani tribes replacing earlier Kurdish inhabitants of the area; in other words, if the identification is right, this source suggests the very opposite of Edmonds’s and MacKenzie’s claim. 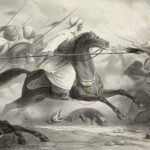 (1) Shihab al-Din further stated that the Goran consisted of warriors and peasants, which runs counter to the view of the Goran as a purely non-tribal agricultural community as well. There is other historical evidence that the processes involved were more complex than MacKenzie and Edmonds suppose: 1) Rich (I, 201) makes mention of Goran princes with Kurdish tribes under their sovereignty. In other words, the Goran were by no means merely the subjugated nontribal peasantry of the area. The Goran themselves could be organized tribally, and even be the superiors of non-Gorani tribes. (cf. Van Bruinessen 1989a). 2) According to the Sherefname (II, tome I: 82), the sovereigns of Erdelan derived from a member of the Merwanid dynasty of Diyarbakir (cf. ManniHadank 1930: 20). 3) Edmonds (1957: 1904) notes that the (Gorani speaking) Kakai and their religion appear to originate from Luristan. There is thus no need to assume that the Goran came from Dailam en masse, or that they originate as a whole from the area south of the Caspian sea. A general problem with the historical sources, however, is that we must beware of the ambiguity of the term ‘Guran/Goran’ (and, by the same token, of the term ‘Kurd’): as Minorsky 1943 and Van Bruinessen (1989: ch.2) indicated, ‘Goran’ may be used to refer to a dynasty, a tribe or a tribal confederation, or even to a social class. (2) Consequently, we must be careful not to mistake one use of the word for another. For example, Butyka (1892: 209) mentions the presence of Goran in the Dersim region, which is far away from the Gorani heartlands; but he clearly uses the expression as indicating a social stratum rather than an ethnic group. It is very well possible that the word goran has undergone a change of meaning from, say, the ethnic sense to the social one in the course of various sociopolitical changes,- if it has ever had any single clearly specified meaning at all. Note 1)The source does not specify who these ‘hasaneh’ are, however, nor explain why they are not ‘veritable Kurds’. Note 2)An informant from Arbil notified me of yet another sense expressed in the proverb ‘Ez ne kurd im, ne guran im’, meaning something like ‘I am neither a town-Iweller nor a countryman’. Note 1)Soane (1921) presents some translations from an 18-century anthology of Gorani poetry. Note 2)N.B. this section does not occur in the 1992 English edition. Note 3)See e.g. Melikoff 1975, 1982; Sohrweide 1965 for more information. Both stress the heterodox pseudo Shi’ite nature of the Alevi faith. open, ethnogenesis and relatively recent contacts seem more adequate explanatory concepts here than origins. The main thesis of this paper may be summarized as follows: the Gorani like elements in Central Kurdish can be accounted for without any appeal to dramatic events such as a massive language shift among entire groups of Gorani speakers. The available historical evidence, and the kind of borrowings involved (primarily lexical and morphological), fit in well with an account in terms of prestige borrowing over a extended period of time. Next, we must be careful not to confuse linguistic reconstructions with postulated ethnohistorical developments. There is no historical evidence for anything like a homogeneous Gorani stratum in the population overrun by a clearly identifiable influx of ‘real’ Kurds, nor does the linguistic evidence give any reason to think so. However, migrations (some of which are attested) of individuals, of tribes, and of wordly and spiritual leaders have been taking place throughout the past centuries, and undoubtedly various cases of language shift did occur. The picture is far from clear, but it suggests that the phenomenon of language contact in dealing with Kurdish dialects deserves more attention than it has received thus far. Third, it seems useful to distinguish an ethnic sense of the expression ‘Kurdish dialect’ from the purely linguistic sense. What is a Kurdish dialect in the former sense is a matter of ethnic affiliation that may well change over time; what is a Kurdish dialect in the second sense is a matter of linguistic classification and reconstruction. Thus, Zaza and Gorani are (at present) Kurdish dialects in the former sense but not in the latter. The predominant ethnic affiliation of individual members of any of these dialect groups, or even the ethnic identity of part or whole of those groups themselves develops in a dialectic interplay with social and political events, and is thus inherently instable. We have seen some cases (the Karakeçili tribe, Armenians in 19th-century Dersim) where the crossing of ethnic boundaries has demonstrably taken place, and in some others (the Gorani speaking groups that gradually became heterodox) it is quite likely to have occurred. A further question is whether and how these developments are reflected in the languages spoken by the ethnic groups under consideration, but obviously this is far too large a topic for the present occasion. Nevertheless, I hope to have shown that it may be worthwhile to look further in this direction. D.N. MacKenzie n.d. Kurds: Language. Encyclopedia of Islam, 2nd ed. T. L. Todd 1985 A Grammar of Dimih (also known as Zaza). Diss.